Doodlecast Pro is a neat tool that can be used for many purposes. It can be a presentation tool, if you have a project to share. 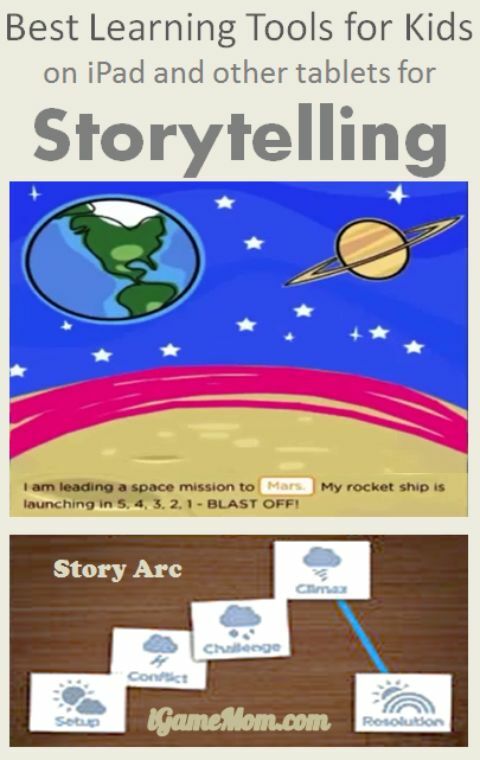 It can be a storytelling app for kids to tell a story. It can be a teaching tool for anyone trying to explain something with visual aid. It is an app allows users to write or draw on the screen while explaining the drawing or writing. The app records the whole process, including the visual and audio, and turn it into a video. You can keep the video in the app, or share it via email, Youtube, or Google drive, Dropbox. To start a recording, you tap on the “new doodlecast” icon on the left top corner. You can use a picture you had in your camera roll, and draw on it; you can choose different backgrounds for your recording; you also have options of colors and thickness of the drawing or writing. Just remember to hit the record button at the top when you are ready. If you need change the background or switch to a different color, you can pause the recording, and resume when you are ready again. The recorded sound is very good quality, you can just speak in your normal voice, no need to raise your voice for the recording. Once you are done, you can export the video via email, Google Drive or Dropbox. The exported video can be further edited with any video editing tool. You can also share the video on YouTube. 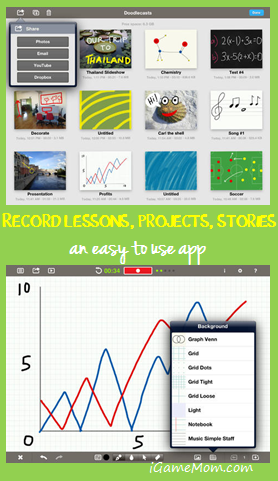 Overall Doodlecast is a very easy to use tool for any age. Kids can use it for storytelling, project presentation, or family photo sharing. Teachers and homeschool families can use it as a teaching tool to explain some concepts for kids, so they can go back to it multiple times without asking the teacher again and again. Business can use it for project presentations and trainings. With holiday approaching, I am planning to do a family photo collection and work with my son to add some fun facts to the photos and then share the video at the family gathering. Doodlecast Pro works on iPAD. It is usually $3.99 on App Store.